Clair De Luna | Zonyxa. Unique and contemporary jewellery for Work. Love. Play. 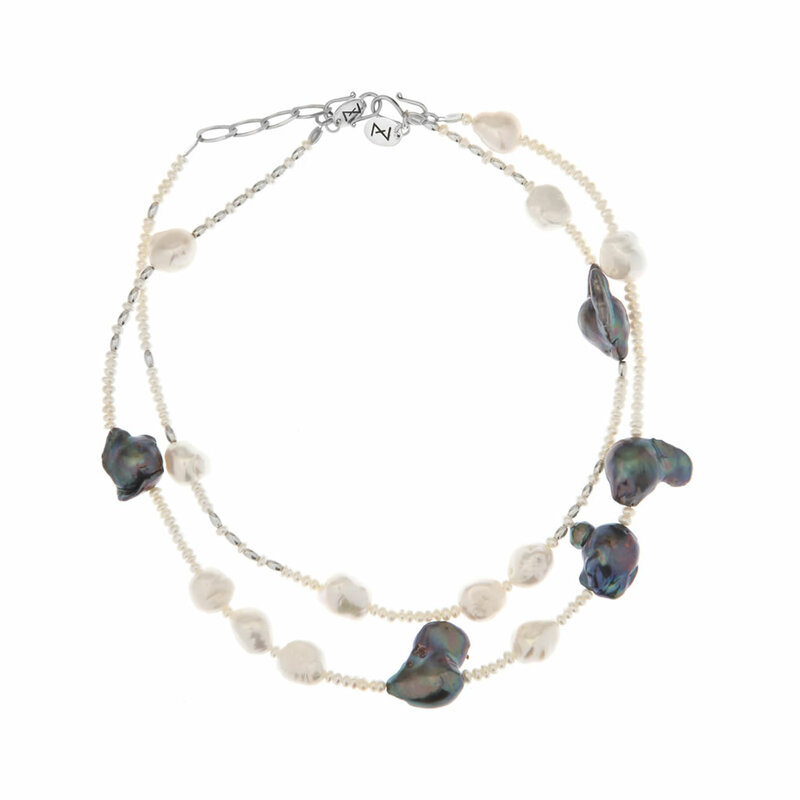 Free-formed Freshwater baroque pearls are the highlight of this single strand necklace that features a creative combination of freshwater pearls and sterling silver oval beads. It’s a delicate yet powerful accessory you can wear at any time, on any occasion. Works in tandem with Clair De Luna Mini necklace to create either a double strand necklace or a long necklace. Alternatively, it can be used as an adjustable length bracelet (with or without the Clair De Luna Mini necklace). Materials: Freshwater baroque pearls, freshwater pearls and sterling silver beads quintet set.